In the bathroom, the bathtub was filled with white milk. On it’s front edge were three small ceramic dishes filled with honey. This references the land of milk and honey depicted in the Song of Solomon, representing abundance, fertility, and delight. This land is referred to in Exodus as the promised land, flowing with sweetness, and free from slavery. 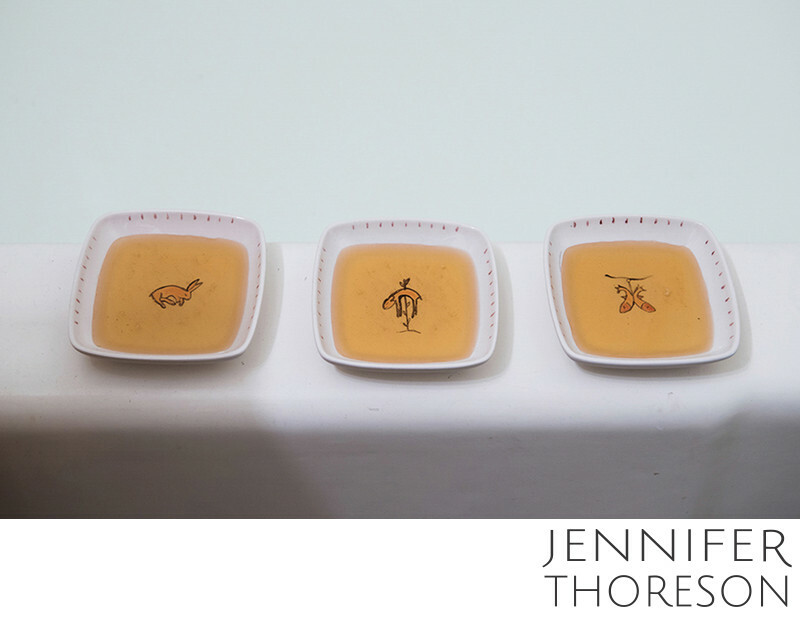 In the center of each dish, I painted small figures of a rabbit, a speared sheep, and two fish, symbolizing abundance and fertility, sacrifice, and generosity. These materials were purposefully installed in the bathroom of the home, providing a stark contrast between the divine and the human, and illustrating human limitation and failure.